NEW! 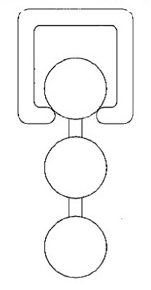 Chain-Link Designs, Circular and Serpentine Designs. Where do you want to add definition, texture, shape, and allure? 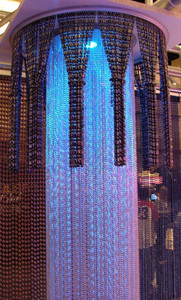 You'll find the solution in Metal Bead Curtains. It's Simple! Just measure the width of your space (window, wall, doorway or opening). 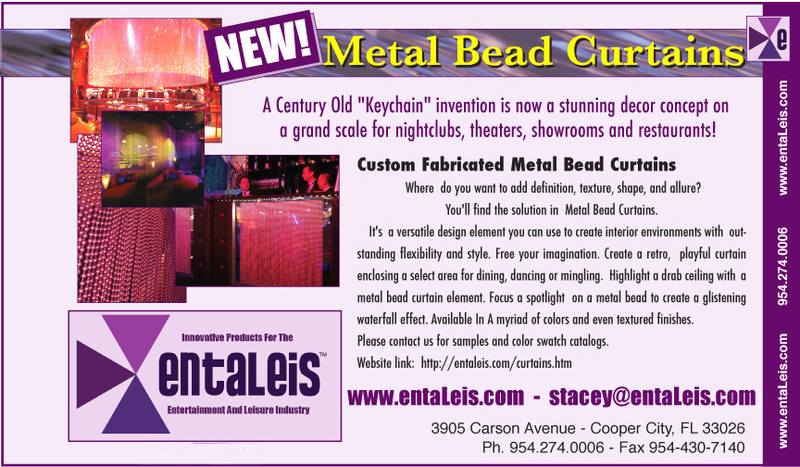 This will determine the size of the track we will provide to create your Metal Bead curtain. Then tell us the height of the space being covered. 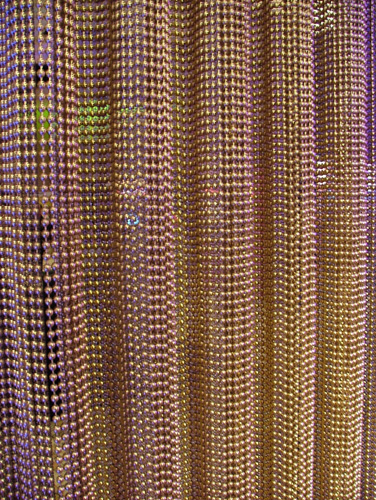 This will determine the length of the Metal Beads. We‘ll do the rest! 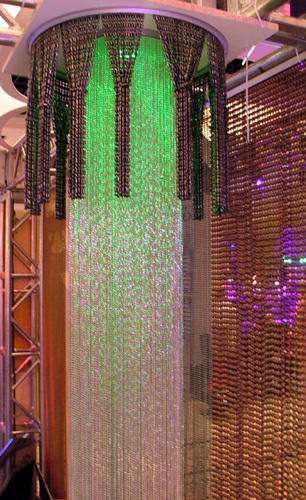 We can also provide tie-backs and ideas for creating unique designs. 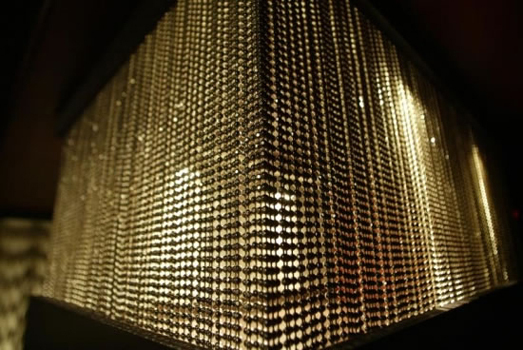 Sophisticated, bright silver finish, highly polished, creates a clean sculptured crisp appearance. 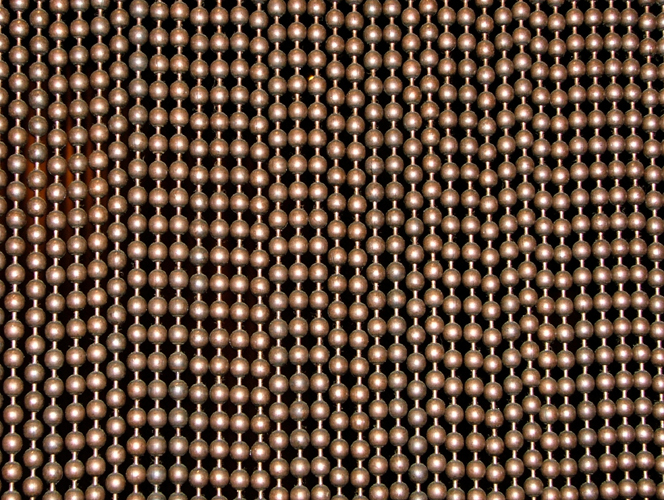 Traditional gold tone adds color and warmth to any window or wall creating a discreet look. 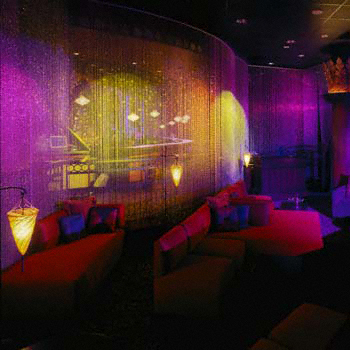 Rich, dark luster in color a rich sophisticated enhancement to any room setting. 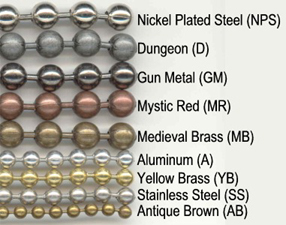 Dungeon (antique steel), Medieval Brass (muted brass tone), and Mystic Red (soft copper tone) provides a choice of metallic styles that quietly enhance a wall or divide a room. A full range of powder coat colors and textures includes a comprehensive color palette. 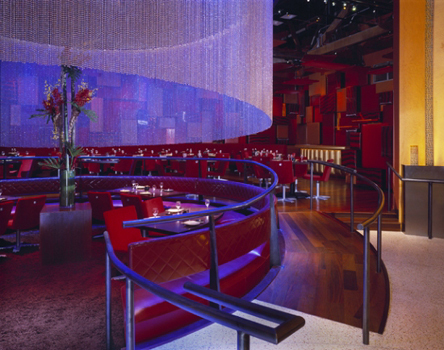 The range includes, special effects finishes, the smooth & glossy series, and an array of textured finishes. Aluminum is light durable and brushed pewter, light gray in color. Appropriate in any setting where a subdued look is desired. Pewter, silver gray in color adds a softer feel with impeccable durability. Also perfect for indoor/outdoor applications including, showers, pool settings and any bathroom application. 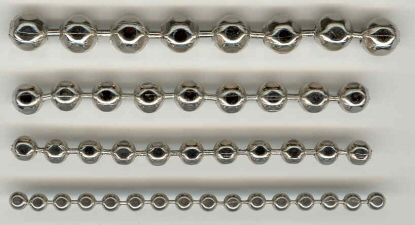 3/8" - 5/16" - 1/4" - 3/16"
The track is used to suspend the Metal Beads by accepting the last bead on each strand in the channel. 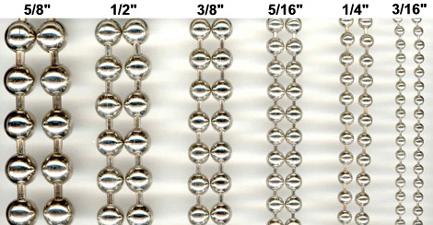 The track is designed in various sizes to work with the Metal Bead of your choice. Our double-track was developed to allow for higher density of coverage in your designs. 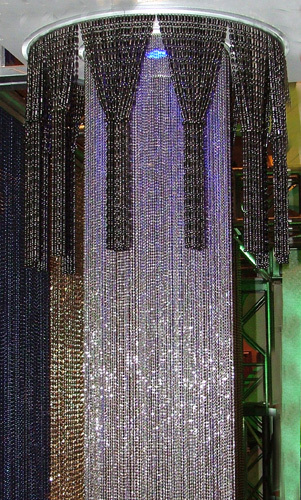 Imagine two rows of chain back to back create a dense rich texture. 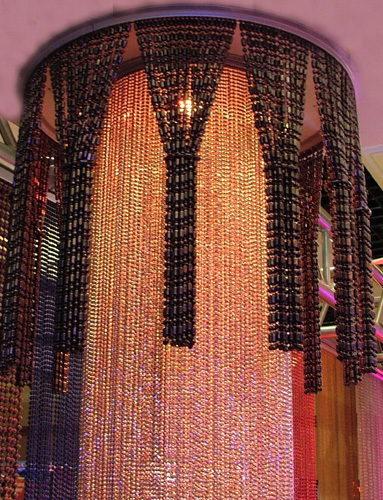 Mixture of different styles of chain opens additional possibilities for your designs. 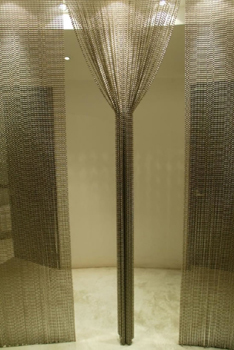 Metal Bead track systems can be custom curved to your specification to create arcs, arches, circles, “S” curves and of course shapes to surround lighting or other any use as an architectural treatment. 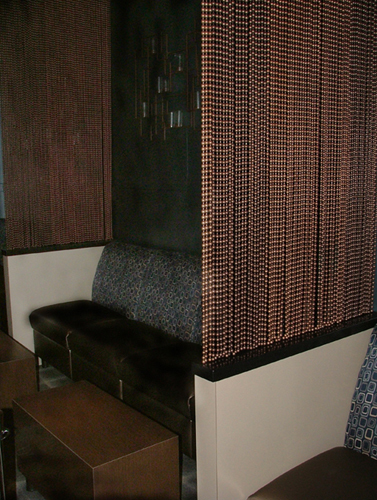 Available In A Myriad Of Colors and Even Textured Finishes. Please contact Us for Samples and Color Swatch Catalogs.